Technical Analyst Jack Chan says his trading model is indicating that the gold sector is on a new major buy signal, but the COT data is bearish, so he is waiting for the COT to return to bull market values. 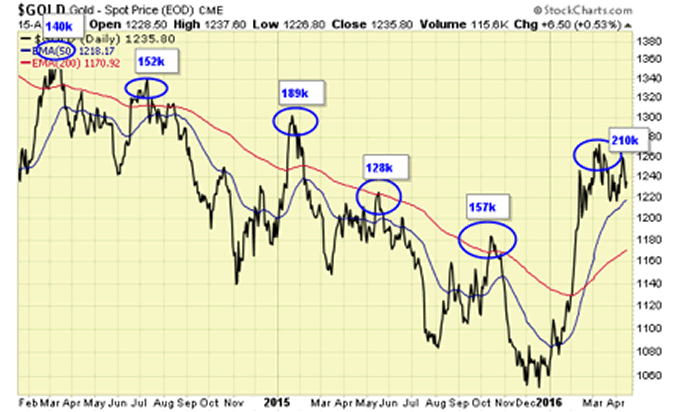 With the sharp recovery in the past few weeks, some analysts have declared that the gold bear market is over. 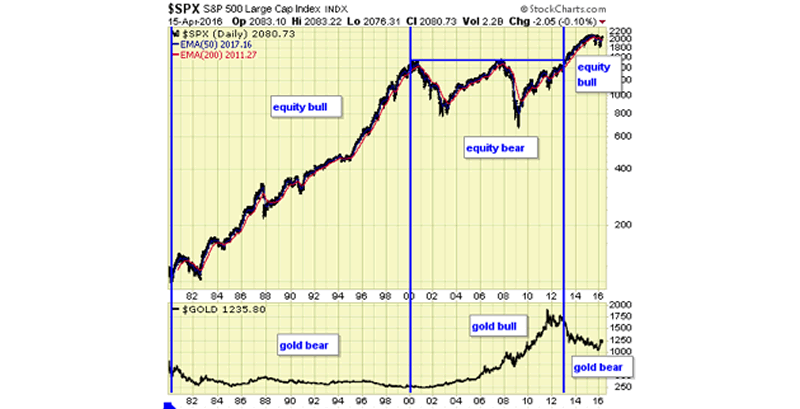 I would love to agree with that had I not lived and invested during the last major bear market in gold and gold stocks from 1981 to 2001. There were a few sharp rallies but unless you bought and sold with flawless precision, it was a long and heartbreaking 20 years for most gold investors. 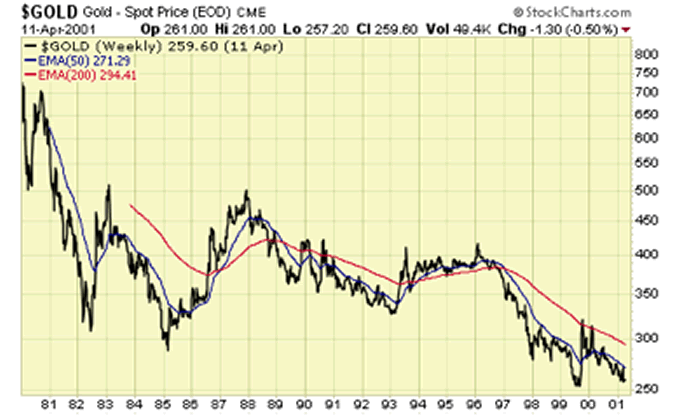 Here is a closer look at gold during that long and hard 20 years. Those who made money in gold, please raise your hands. #2 – the 2015 high near 1300 is exceeded to the upside. Gold sector is on a new major buy signal according to our proprietary trading model, therefore, opening up the opportunity of a new bull market. However, COT data remains in bear market values and is now at levels of previous tops. I remain patient and wait for confirmation, which is when speculation according to published COT data has returned to bull market values, and the 2015 high in gold prices near 1300 is exceeded to the upside. 1) Statement and opinions expressed are the opinions of Jack Chan and not of Streetwise Reports or its officers. Jack Chan is wholly responsible for the validity of the statements. Streetwise Reports was not involved in any aspect of the article preparation or editing so the author could speak independently about the sector. Jack Chan was not paid by Streetwise Reports LLC for this article. Streetwise Reports was not paid by the author to publish or syndicate this article. Streetwise - The Gold Report is Copyright © 2016 by Streetwise Reports LLC. All rights are reserved. Streetwise Reports LLC hereby grants an unrestricted license to use or disseminate this copyrighted material (i) only in whole (and always including this disclaimer), but (ii) never in part.